Below are a small selection of trim options available. Choose from our 6 stock supported styles in 8 stock colours. 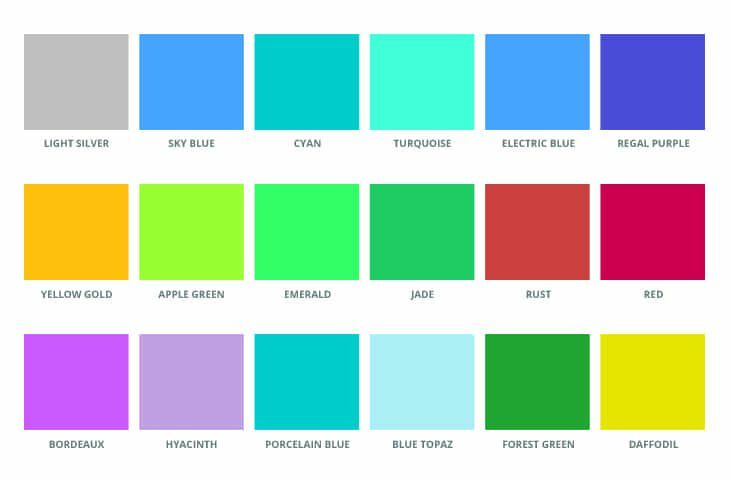 Alternatively we can supply any dyed to match colour to your request, minimums apply. Our knitwear is both soft to handle and hard wearing. 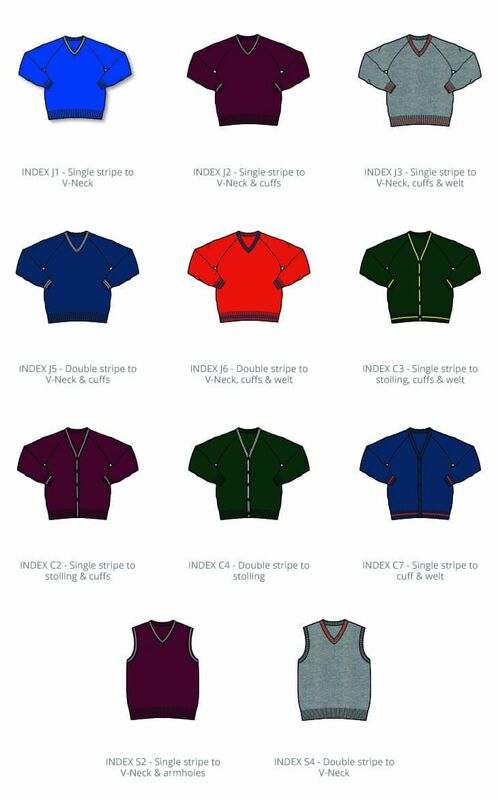 You can choose from a range of knitwear styles in any of the featured stock colours and add a striping trim option in a variety of colours shown below. One or two stripe options can be selected to the ribs, neck, welt, cuffs and stolling. The stripe yarns are available in the blazer braid colours to co-ordinate with all blazers to create a unique individual look.